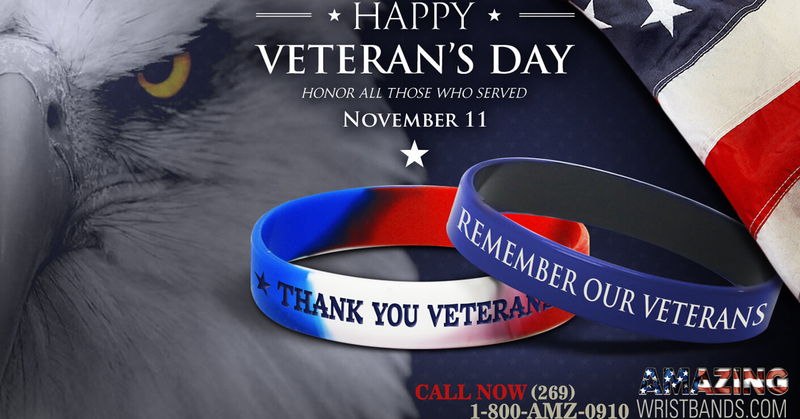 How To Promote Veterans Day With Wristbands? Every year, Veterans Day is observed on 11th of November. On this day, we thank veterans for their dedicated services to the nation. It is the duty of every citizen to show their appreciation. Promote the importance of this day with custom designed bracelets. Attention Deficit/Hyperactivity Disorder (ADHD) is a brain disorder that makes it difficult for the sufferer to focus, and the condition can impact functioning or development. According to the National Resource on ADHD, the condition affects 11 percent of school-aged children. However, people of all ages can benefit from treatment, and we at Amazing Wristbands understand just how important this is. ADHD impacts not just the people who live with the condition but also their family, friends, teachers, and anyone they are around. Decades ago, little was understood about the condition, but much has changed, and even in just the past five years, new thinking and treatments have evolved. Which means that the burden of the disorder can be lessened for the people who have it as well as for those whose lives they touch. Perhaps you know someone with ADHD or you suspect a loved one does. Perhaps you think you might have it yourself. First, you can visit the ADHD Awareness Month site to take an adult self-screening test. It won’t replace an assessment by a trained healthcare provider, but it will give you an idea of whether you need to take additional steps. Next, you can spread the word and help raise awareness during this critical month. Consider using eye-catching conversation-starters like customizable silicone wristbands. Wear them yourself, sell them to raise funds, or simply give them away as fashionable reminders. Why Buy From Amazing Wristbands? 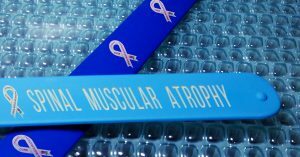 Many of our custom wristbands can be created with our easy-to-use online tool. Or, call us and our professional and friendly customer service agents will help you. When purchasing online, be sure to work with a vendor that offers only 100% latex-free products. At Amazing Wristbands, all our silicone products are non-allergenic and latex-free. We offer free shipping, free artwork, free design, and free color matching. There are no minimum order requirements on our most popular styles, and your custom order will ship within 5 to 10 days. 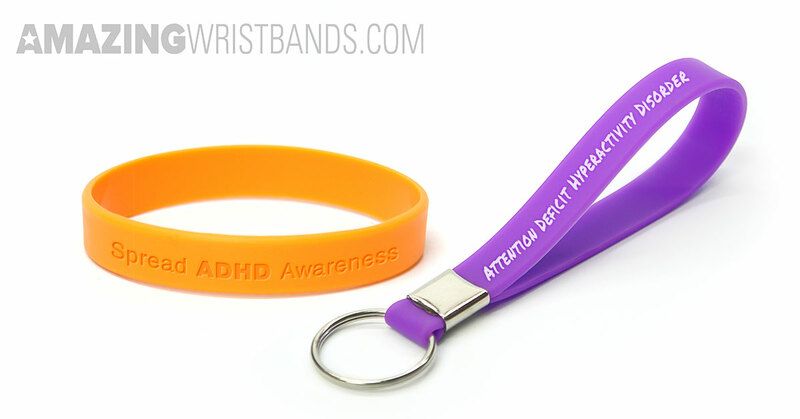 Build your own ADHD Awareness Month wristbands online today! August has been set aside as Spinal Muscular Atrophy Awareness Month. A little-known disease, spinal muscular atrophy (SMA) is the number-one genetic cause of death for infants. 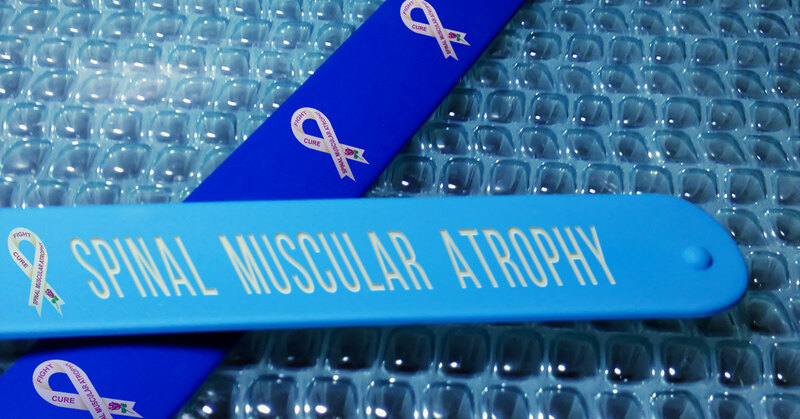 SMA impacts the part of the nervous system that controls voluntary muscle movement. Because it can severely limit a person’s bodily control, SMA is a disease people want to know more about. That’s where Spinal Muscular Atrophy Awareness Month comes in. Through awareness that is raised during Spinal Muscular Atrophy Awareness Month, funds are raised so researchers can find out more. Start to design personalized awareness bracelets now!